Yokohama is situated in Kanagawa Prefecture and was inaugurated as a port more than 150 years ago. The streets have ambience of good old days and the town commands a magnificent open view of the sea. There are also various tourist spots such as a Japanese garden, historical structures, an observatory to look out over Mt. Fuji, shopping facilities in many varieties, etc. 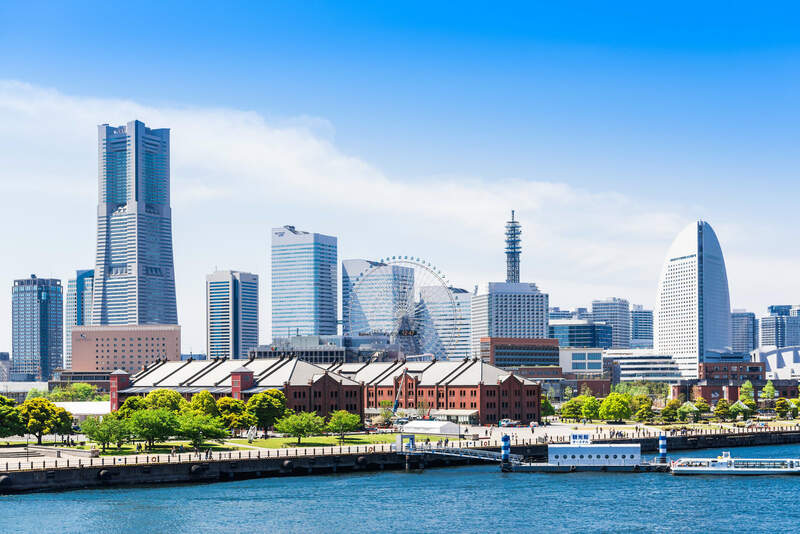 Yokohama is conveniently accessible from Tokyo, because it takes you only 40 minutes by train (via “Minato Mirai” Line) from Shibuya without transfers. In this issue we introduce recommendable hotels. Yokohama’s inauguration as a port goes back to 1859. Since then the town has developed tremendously. After more than 150 years, still many historical buildings exist witnessing the history of Yokohama since its inauguration, which makes the town very attractive. Yokohama is the town where you can see the history of trading and exchanges with foreign countries. There are very many touristic spots in town, such as the vicinity of Yokohama Station, “Yamashita Koen” Park with a sea view and plenty of flowers, “Minato Mirai” district with wonderful views from sky scrapers, “Kannnai” district where you find many historical building, Chinatown with so many Chinese restaurants, and so on. Why not take a promenade in town feeling a soothing sea breeze. 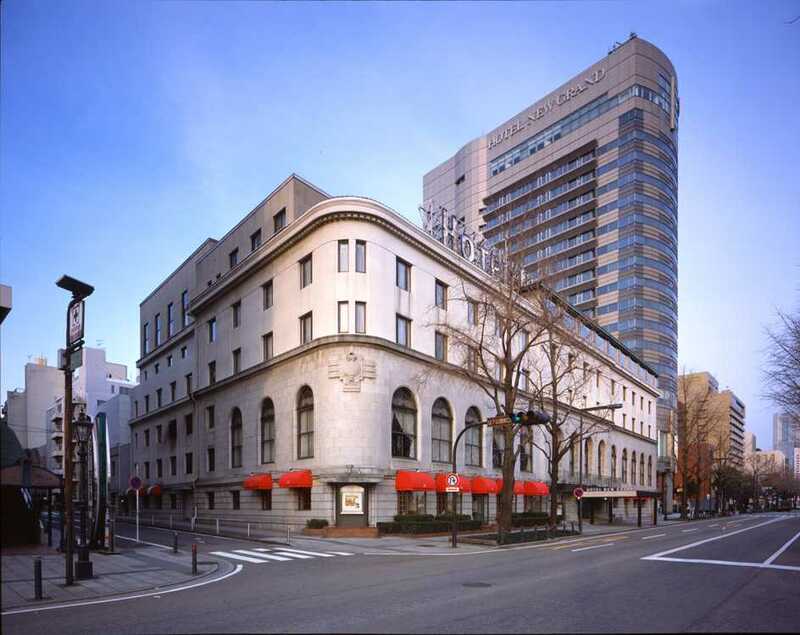 The Hotel New Grand is the only classic hotel in Yokohama. It still maintains the traditional European elegance of Yokohama. The hotel has evolved along with Yokohama. It is composed of two buildings, the main building where General MacArthur stayed and the Tower which commands fantastic views of the “Bay Bridge” and the main harbor jetty. It is conveniently located close to Chinatown and “Motomachi” area. Yokohama witnessed the arrival of the U.S. fleet lead by Matthew Perry and the opening of Japan to the world. Why not follow and enjoy the Japanese history in Yokohama? Yokohama Grand Intercontinental Hotel is on the bay, the closest to the sea. Its unique architectural design motivated by sails of a yacht is now a symbol of “Minato Mirai”. 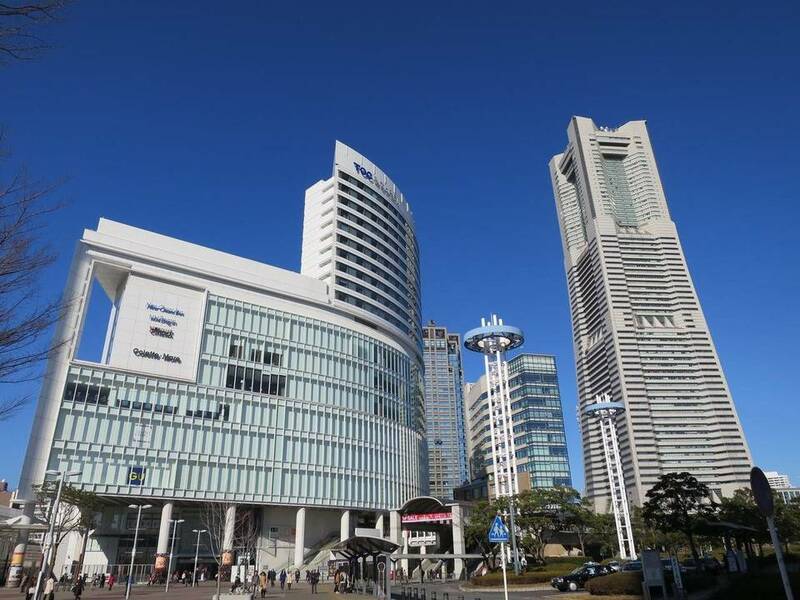 Being located just 5 minutes walk from the “Minato Mirai” station, it is very convenient for your sightseeing. There are “Yokohama Cosmo World”, a hot spring, a museum, etc. in the neighborhood. You can employ your time most effectively. 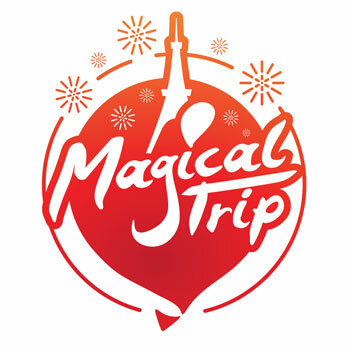 Just one minute walk from “Minato Mirai” Station! Yokohama Bay Hotel is located in the center of “Minato Mirai” and is called the “Urban Oasis” hotel. It commands beautiful views of a greenery park and Yokohama Port. The rooms are decorated in a simple design and very relaxing. Many of them have balconies. Why not enjoy a refreshing sea breeze and a view of the giant Ferris wheel in front? 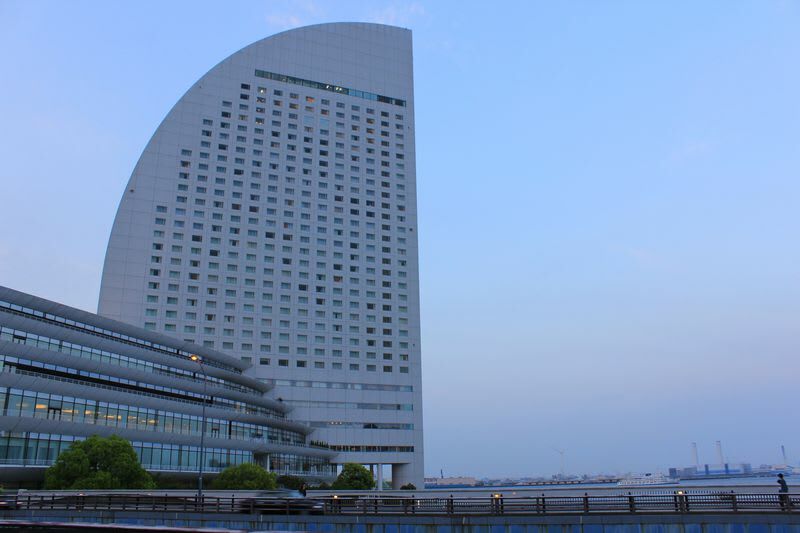 The Yokohama Royal Park Hotel is located in the Yokohama Land Mark Tower which symbolizes Yokohama “Minato Mirai”. The hotel occupies 52nd floor and above. All guest rooms are indeed like an observatory. It is conveniently situated, 5 minutes walk from JR “Sakuragi-cho” Station and 3 minutes walk from “Minato Mirai” Station. There is a shopping mall in the Land Mark Tower so that easy for shopping as well. Y’s CABIN is a capsule lodging with an affordable price. It is situated in “Kan-nai” area and is not like other capsule lodgings but with good quality and comfort. Ladies’ quarter and men’s are well separated for safety. There are amenities such as a sauna in men’s common bath and shower booths for ladies. 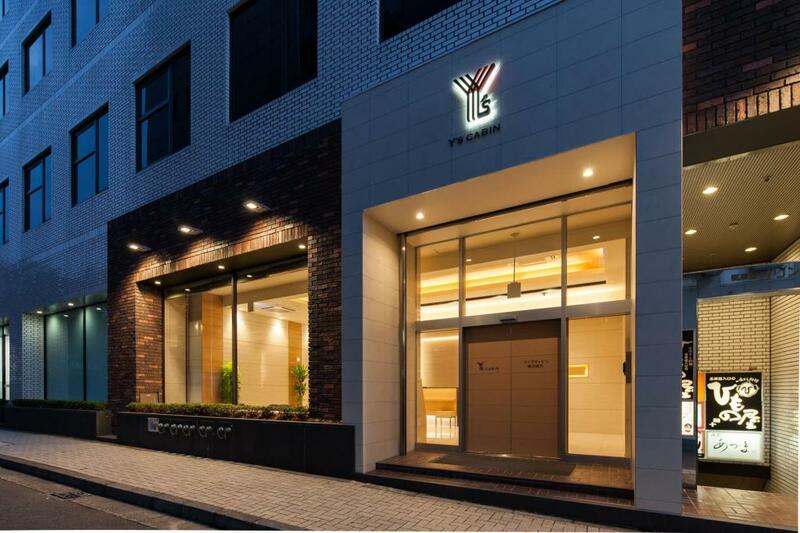 The location is good as well, just one minute walk from “Kan-nai” Station. It is recommended for low budget travelers. 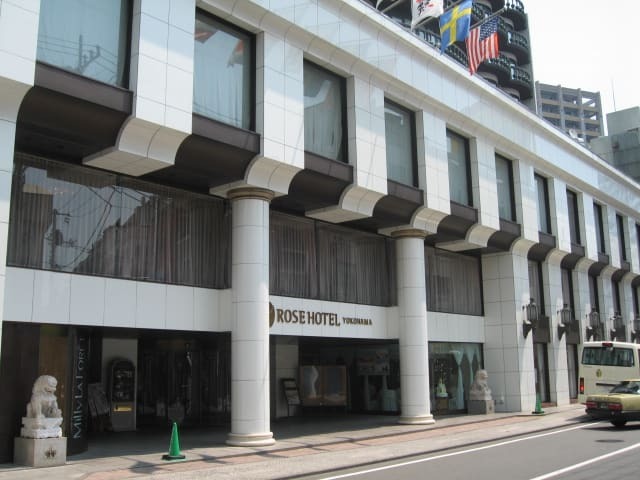 Rose Hotel Yokohama is located just one minute walk from the exit 2 at “Motomachi-Chukagai” Station. Being situated near the “Choyo-mon” (a Chinese style gate) you can visit all touristic places from here, such as the sea front, Chinatown, Minato Mirai, avenues by the sea, etc. It is suitable not only for sight-seeing but also delicious French/Chinese cuisines, because there is a renowned Chinese restaurant “Jukei Hanten” located in the hotel. You can enjoy delicately elaborated menus. Let’s participate in the tour where you wear Japanese “Kimono” and take photos in “Kimono” at touristic spots in Yokohama! It is a good opportunity that you can choose your favorite “Kimono” and someone will help you get dressed. Professional guides will take you to scenic places. Why not take your photos in “Kimono” at the port, a Japanese garden and other magnificent places in Yokohama?